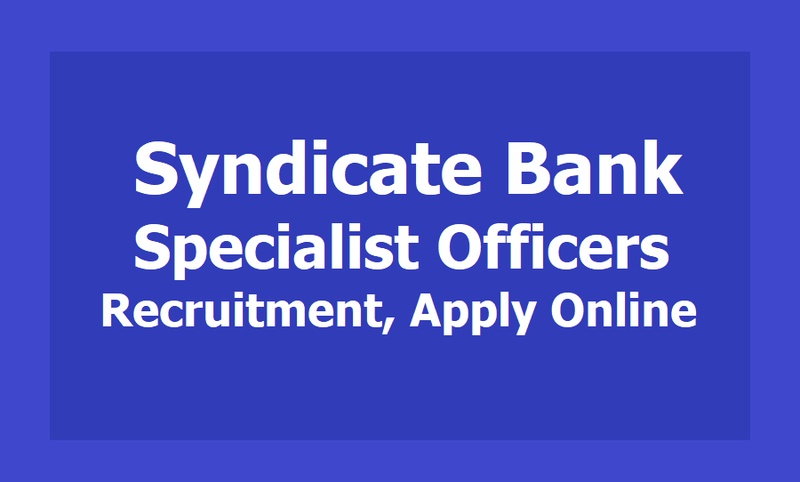 Syndicate Bank SO Specialist Officers Recruitment 2019, Apply Online till April 18: Syndicate Bank has published the SO Specialist Officers Recruitment 2019 and Syndicate Bank has invited candidates to fill up Specialist Officers (Manager and Security Officer posts). Candidates may apply for the position through the official site of Syndicate Bank official website at syndicatebank.in. The last date to apply for the post is till April 18, 2019. A total of 129 posts will be filled up through this recruitment drive.